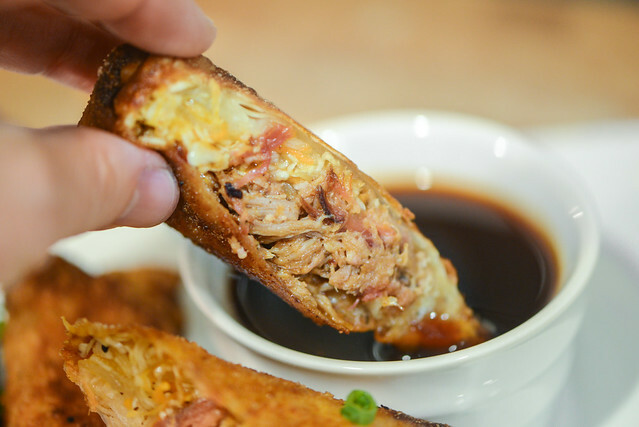 Sadly, wing month is over, but before we return to our regularly scheduled program, I've got one more game-day themed recipe for all you Meatwavers—pull pork egg rolls! 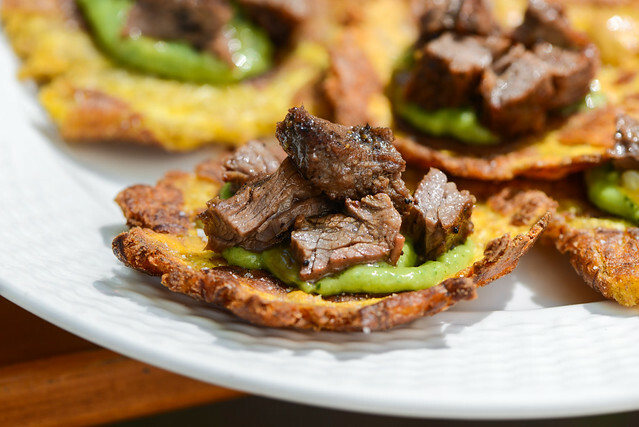 These actually come off a growing list of ideas to make use of a fairly consistent supply of pulled pork in my freezer. So hopefully this will start a new recipe trend for me of transforming meats I have stored in suspended animation into new and incredibly tasty things, and if these egg rolls are going to serve as an example, we're in for a streak of real winners. 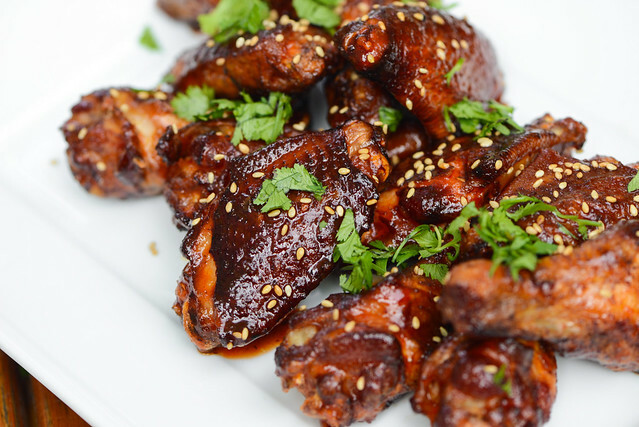 During last year's wing month, I made smoked and fried wings in a quest for the ultimate flavor and texture combo. I was pretty damn proud of what I achieved, then commenter Note went and said he goes the extra mile and smokes, fries, and then grills his wings. 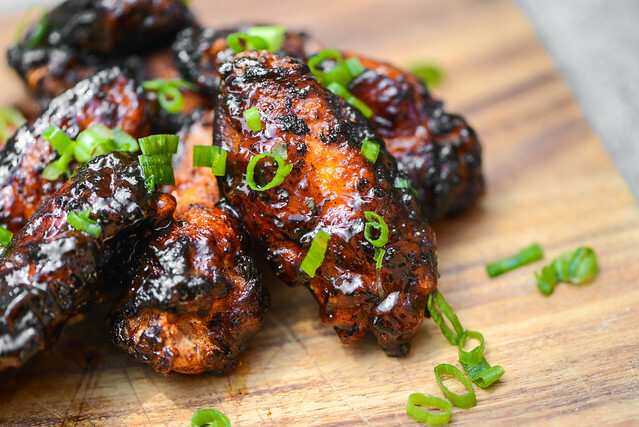 That left me feeling like I had only finished a 5k while he was out there winning a marathon and I knew that the triple cooking process needed to be the crowning achievement of wing month 2018. So, without further adieu, I present to you the trifecta of smoked, fried, and grilled barbecue wings! The most exciting thing about the New Year? Wing Month! When it comes to barbecuing, ribs are by far my go-to item. This certainly shows with ribs racking up sixteen unique recipes so far, while other common slow smoked items like pork butts or briskets only have a couple each. This has certainly bred a consistancy in my rib production, but at the same time, also a monotony. In thinking of ways to continue to build pork rib excellence and break repetition at the same time, I though why not try something completely new—smoke, and then fry my ribs. 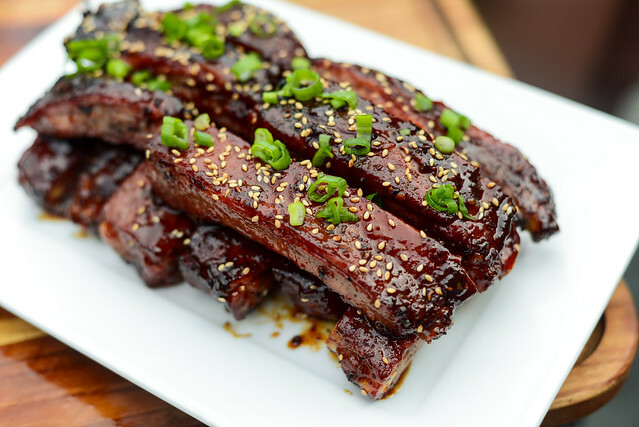 Turns out that was a pretty sweet idea, and these sweet and sticky hoisin-glazed ribs are just one of two prime examples so far.